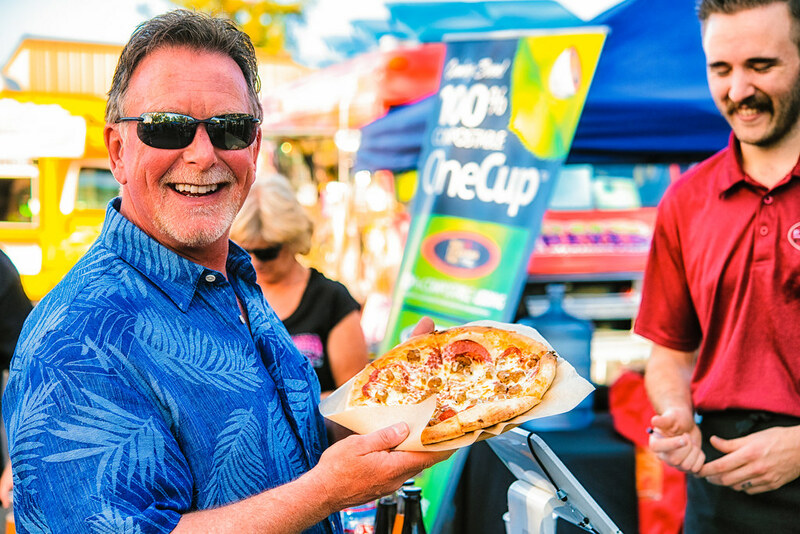 Over the course of the 2018 event season, the City of Rocklin expects to run or co-sponsor 20+ events that will require some form of mobile food service. With events like Woofstock (attendance 10,000), Mini Maker Faire (attendance 9,000), concerts and more, plus low vendor fees, this provides a great opportunity for our local and regional Mobile Food Operators. We all share in the same objective in making these sponsored or co-sponsored City of Rocklin events successful. Starting this year, all co-sponsored event organizers will be required to utilize our system when contracting with Mobile Food Operators. This is true for our mutual customers, the participating vendors, as well as the City of Rocklin itself. With this in mind, the City of Rocklin will be requiring all Mobile Food Service operators to complete an application online. Most events that the City runs will have a vendor fee of $100 to $200 per truck depending on event size. Fees for co-sponsored events are left to the discretion of each event organizer. There is no charge to complete the application. Applicants must satisfy the requirements below to be placed on an eligibility list. Co-sponsored event organizers will receive a copy of the eligibility list and be required to use it in order to use City of Rocklin facilities. Provide Proof of a valid City of Rocklin Business License with Expiration Date. Provide Proof of a Placer County Mobile Food Facilities (MFF) Health Permit with Expiration Date. Provide type of Food Prepared. Short Marketing Story that can be publicized: Your chance to explain who you are, companies values and/or objective. Once the City of Rocklin has received and approved of your application, you will be added to the City of Rocklin “APPROVED” Mobile Food Operator list. This list of approved vendors will be used for all City of Rocklin (sponsored and co-sponsored) events. Co-sponsored event organizers will be able to choose their vendors, and City of Rocklin will utilize a fair lottery system to choose vendors at each event. Please do not delay in completing this approval process. Until your business is approved, you will NOT be allowed to participate in any City of Rocklin events. If you have any questions, please reach out to recreation@rocklin.ca.us.